A man of eloquent speeches, a drive for global unity, and a love for Boston creme pies, John Fitzgerald Kennedy has been nothing short of an inspiration to his hometown of Brookline. 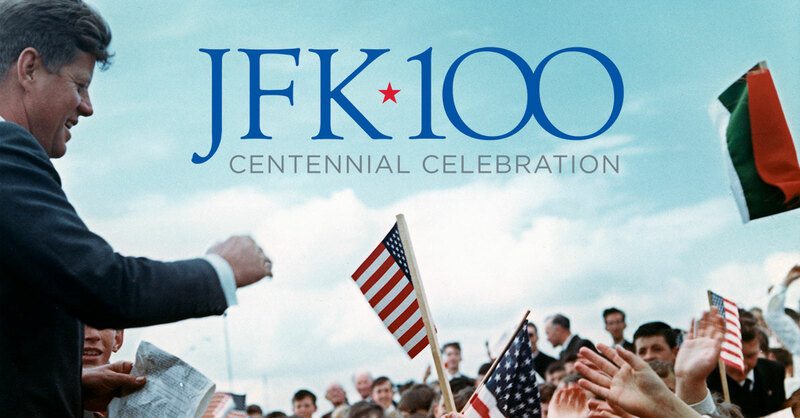 Monday, May 29 marked the 100th anniversary of JFK’s birth in the Kennedy’s first home at 83 Beals Street In celebration of that centennial, 83 Beals Street was met with speeches from inspired citizens, as well as Kennedy’s own grandnephew, U.S. Rep. Joe Kennedy III. Although the speeches reflected the past, from JFK’s childhood spent roaming around Coolidge Corner and reading “Billy Whiskers,” to his time in the White House as the 35th president, they also recognized the contrast of the political climates from then to now. In remembrance of the words that pushed forth social and political change, speakers read excerpts from a variety of JFK’s speeches, such as his famous “City Upon a Hill” and Inaugural Address. Over 500 listened on outside of his childhood home, a home that was no stranger to daily visitors. The home, which Rose Kennedy dedicated as National Historic Site in 1969, opens every year to the public for tours. “The sense of connection that the community has to this place and the specialness of this place and its place in this neighborhood and this community and all of that, contributed to the man that he became, so I think that’s what makes this extra special, say, versus the library or the Kennedy Center or the stadium or any of the other monumental buildings that are named after him; this is his birthplace,” Deputy Regional Director Rose Fennell said. The sense of community was evident as those listening laughed together, and wept together. “In the moments that matter most, we exceed our expectations, we expand and we extend, we rescue and we protect, we survive, we open, we give, we heal and we help,” Rep. Kennedy said.